NEW YORK (May 28, 2018) – FlightSafety International announces that it is building a simulator for the King Air 200 aircraft equipped with a Garmin G1000 NXi Integrated Flight Deck. It will be installed at the company’s Wichita East Learning Center. Training is scheduled to begin in August 2018 following Level-D qualification. “Building a King Air 200 simulator equipped with a Garmin G1000 NXi Next Generation Integrated Flight Deck, clearly demonstrates FlightSafety’s commitment to provide King Air owners and operators around the world with the highest quality, most comprehensive training available,” said David Davenport, Executive Vice President. The simulator will feature wireless cockpit connectivity, wireless database updates using Garmin Flight Stream, enhanced situational awareness with SurfaceWatch, visual approaches, map overlay on the HSI and more. 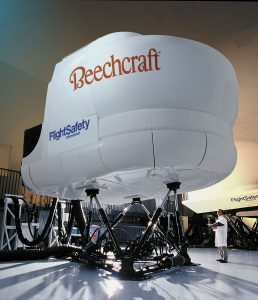 FlightSafety currently offers training for King Air aircraft using its fleet of 14 full flight simulators. They are located at its Learning Centers in Atlanta, Georgia; LaGuardia Airport, New York; Long Beach, California; Wichita, Kansas; and at the Farnborough Airport in the United Kingdom. 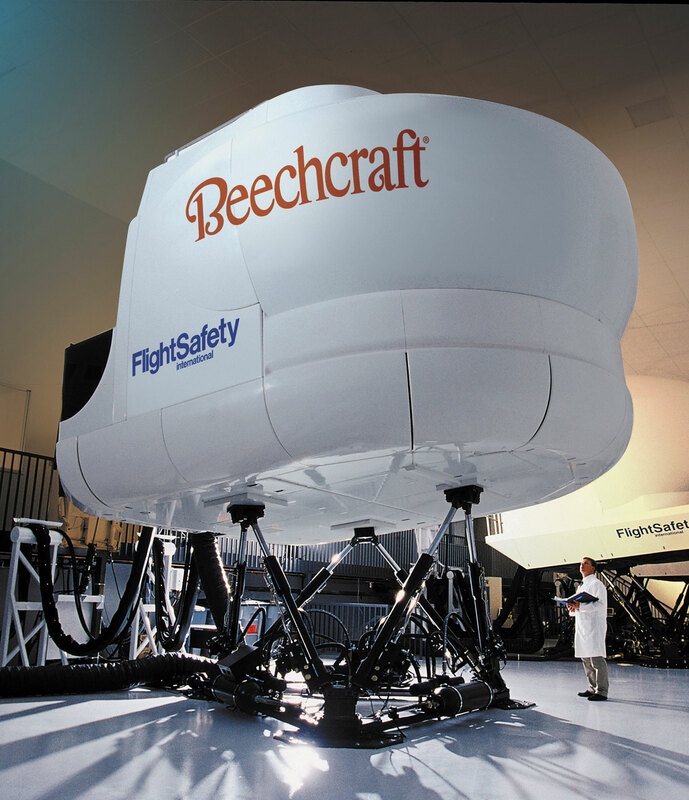 FlightSafety’s Wichita East Learning Center is equipped with 20 Level D qualified simulators and other advanced training devices. They are used in training programs for the Beechcraft Bonanza, Beechcraft Baron, Beechjet 400A, King Air C90GTi, King Air C90B, King Air 200, and King Air 350. The Center also provides training for the Cessna Caravan G530/430, Caravan G600, Caravan G1000, Citation CJ+, Citation Mustang and the Hawker 4000, Hawker 800 XP Hawker 900XP, Hawker Premier 1, and Bombardier Learjet 45 aircraft.